Blog Quick Quotes: Mini Album Inspiration with Barb! Mini Album Inspiration with Barb! Happy Monday everyone! Barb here to host the blog! I absolutely love being part of the Quick Quotes Design Team! Their products are fabulous… so fun and colorful! And when they team up with other manufacturers, it is even more fun! 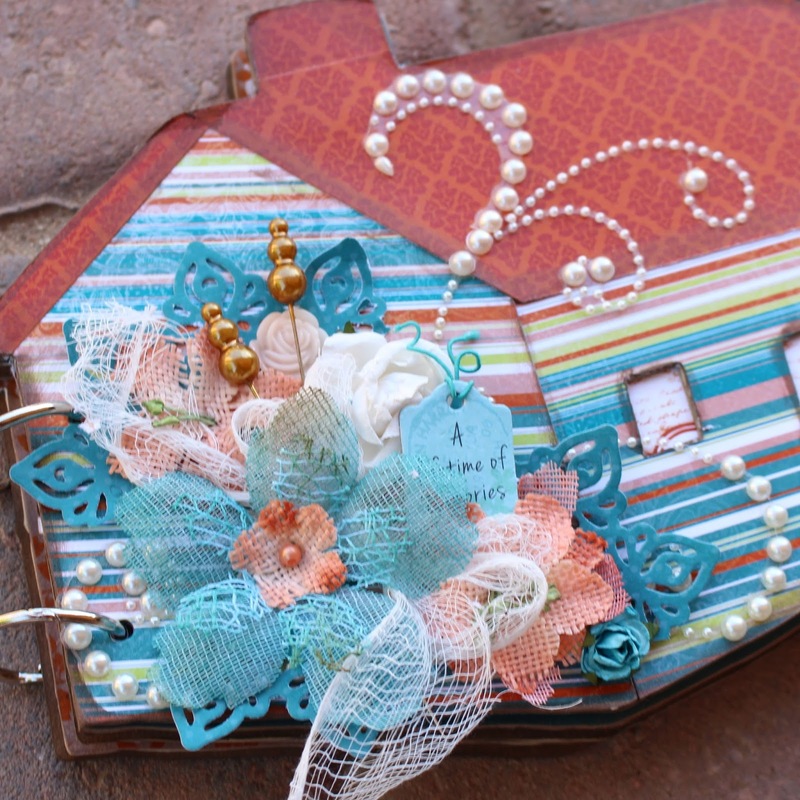 I was sent this darling Want 2 Scrap Log Cabin Mini Album to work with! How cute is this?! I decided to use Quick Quotes Sheer Joy line along with some Want 2 Scrap Embellishments to complete it! I did a little "rearranging" with the pearl flourish. I wanted to see the pearls on each side of the flower cluster so I decided to cut it up a little. Otherwise, my flowers would have covered it and it was too pretty to cover up! 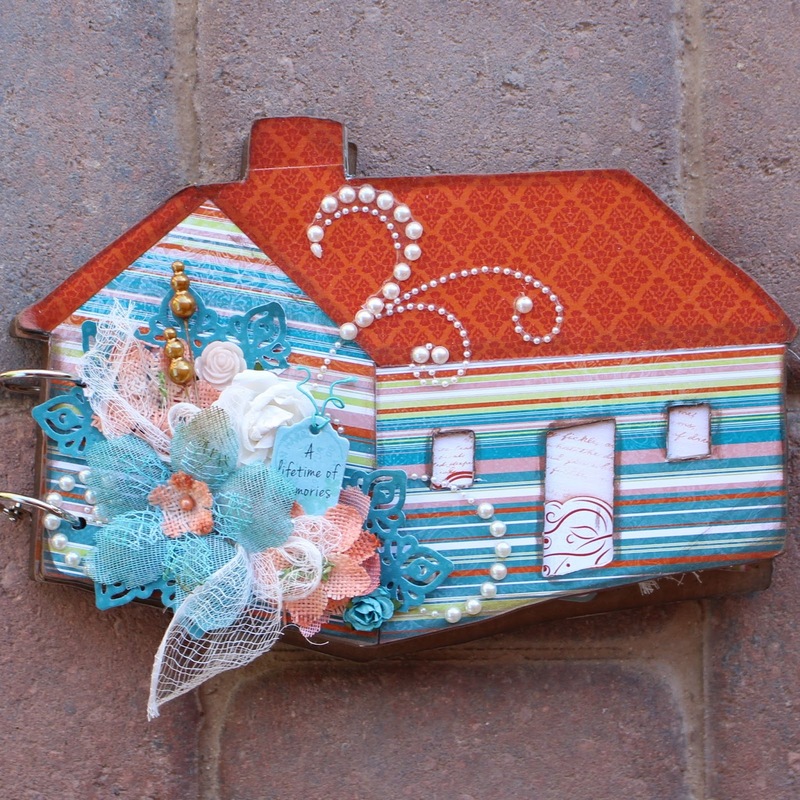 Those fabulous Decorative Pins are also from Want2Scrap! Quick Quotes has these fabulous Chipboard Die-Cuts with quotes that I used to decorate most of my pages. I scattered some Pearls around the page! I decided to go with the natural chipboard for the background of this page. I left a lot of room for photos on these two pages! I love the blues and oranges in the Sheer Joy line! All of the papers and embellishments were perfect for this mini! Thanks for stopping by today and checking out my mini album! Make sure you check out both the Quick Quotes Store and the Want2Scrap store to stock up on supplies to make your own! Have a great week! 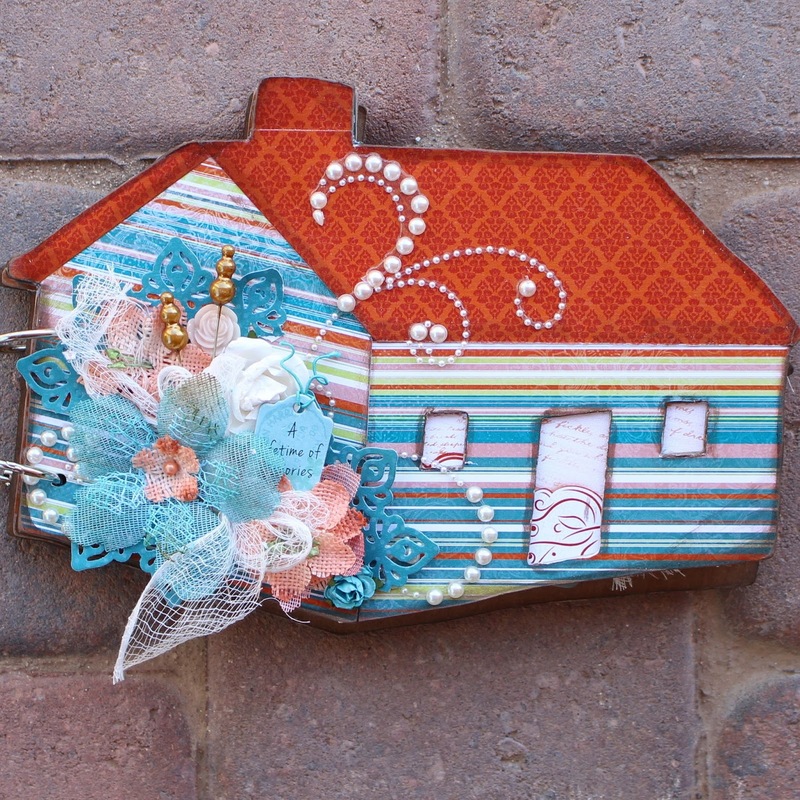 Love your house shaped album with the pretty Sheer Joy paper and sparkly swirls. Great layering and detail. What a cute shape! Love the pearl flourish on the cover!